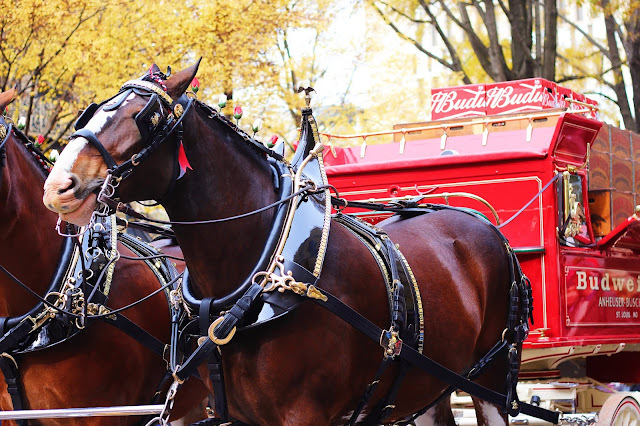 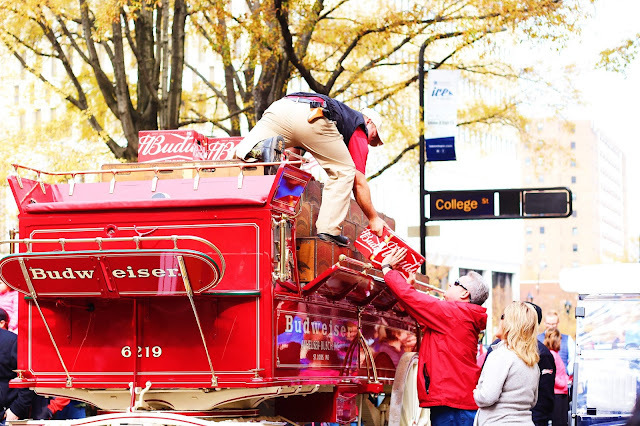 you know the Budweiser Christmas commercials with the "sleigh" of beer that the 8 Clydesdales pull?! 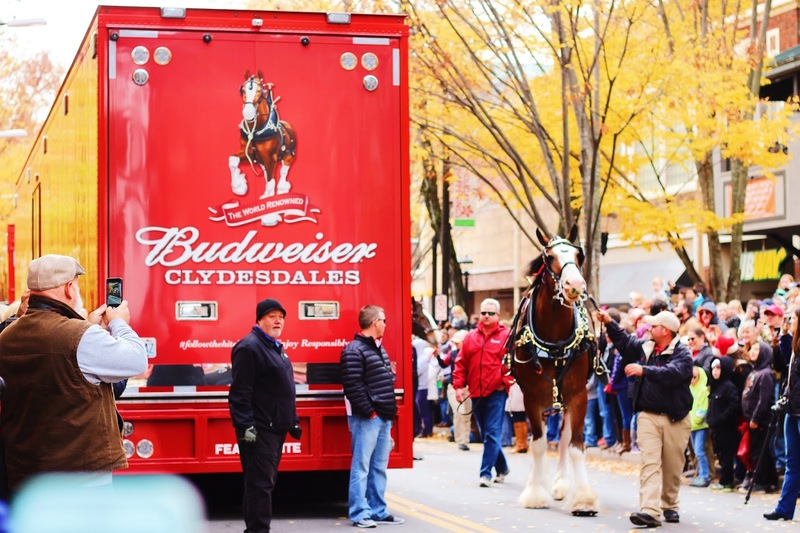 well, apparently the clydesdales don't just pull the sleigh for the commercials, they also do it in real life... in random cities each year. and this year, they decided to come to my city so of course i had to go see them. we knew there would be a pretty big crowd downtown, and we figured we probably wouldn't get a great viewing area... so we decided to just go downtown as soon as the clydesdales were supposed to arrive, and see what we would be able to see. 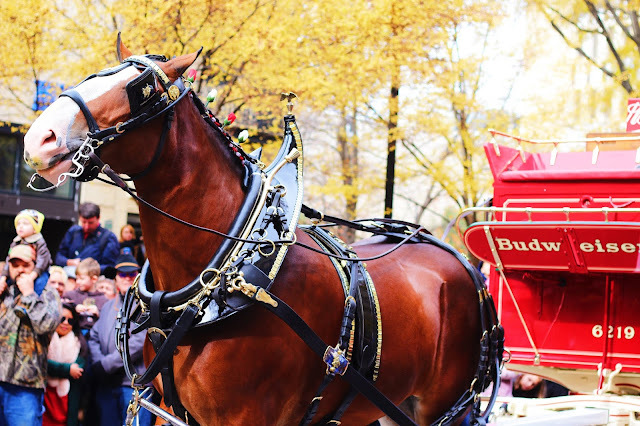 we ended up getting super lucky and stood in the area where the sleigh and horses would be staged. 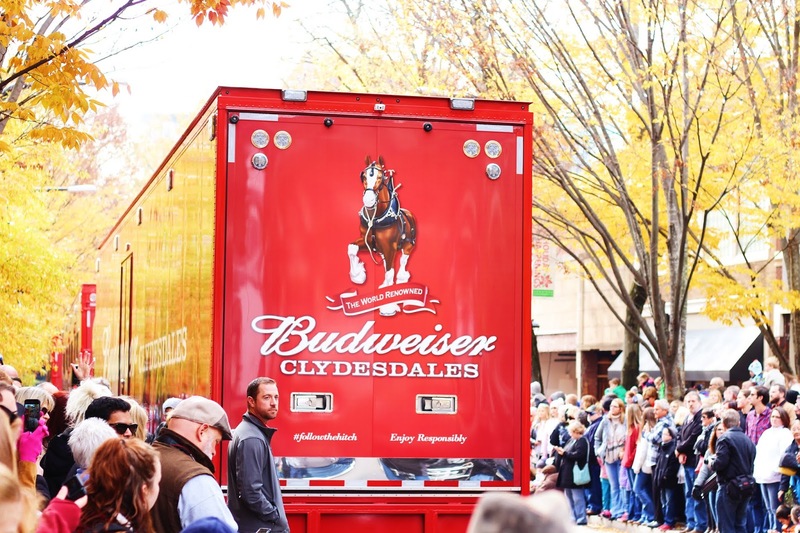 there was a Budweiser golf cart in front of the area that we were standing, and when he moved it created a hole that the crowd could move into. Thomas shot to the front and i followed, and we were able to get in the front row right in front of where the horses would be. it was so much fun to be so close to them, they are so tall! 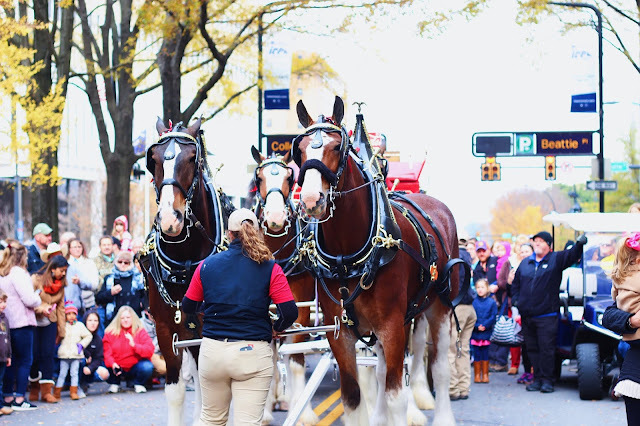 we were only able to stay and see them hook up 4 of the clydesdales to the sleigh, and then we had to head on to see my grandma for her birthday. 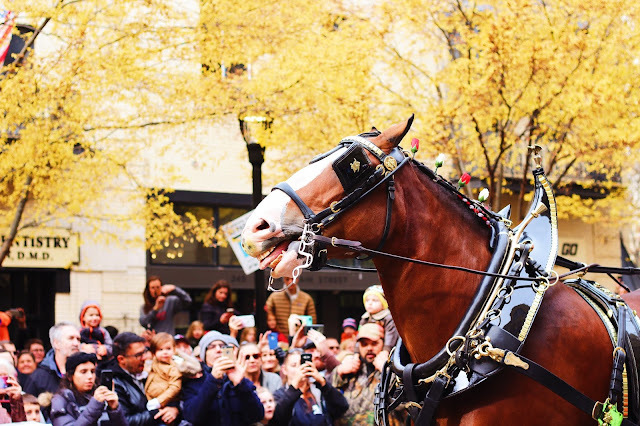 but, it was still magical seeing 4 of the horses! 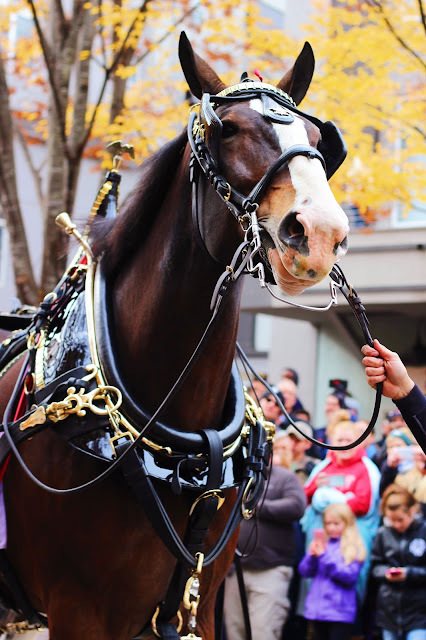 we got some awesome close up photos, so i wanted to share how beautiful these horses are! 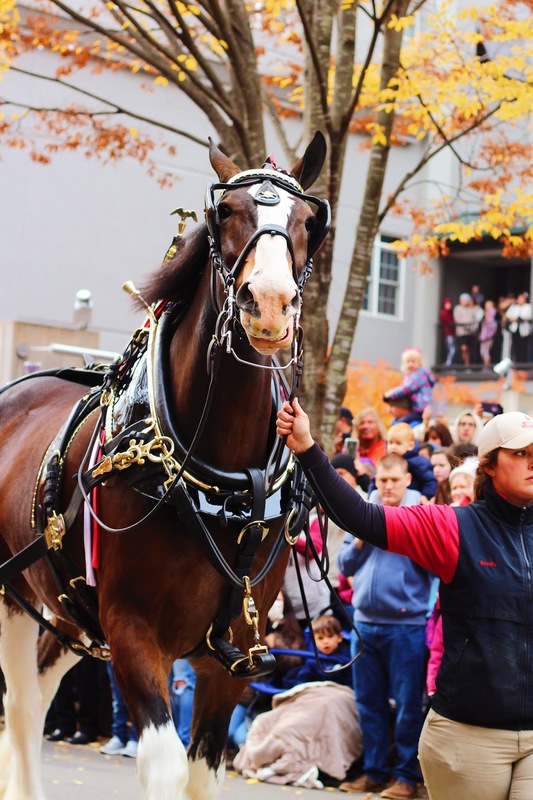 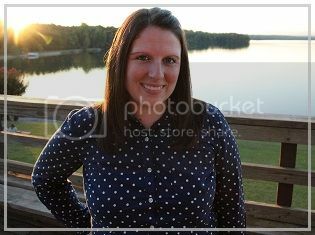 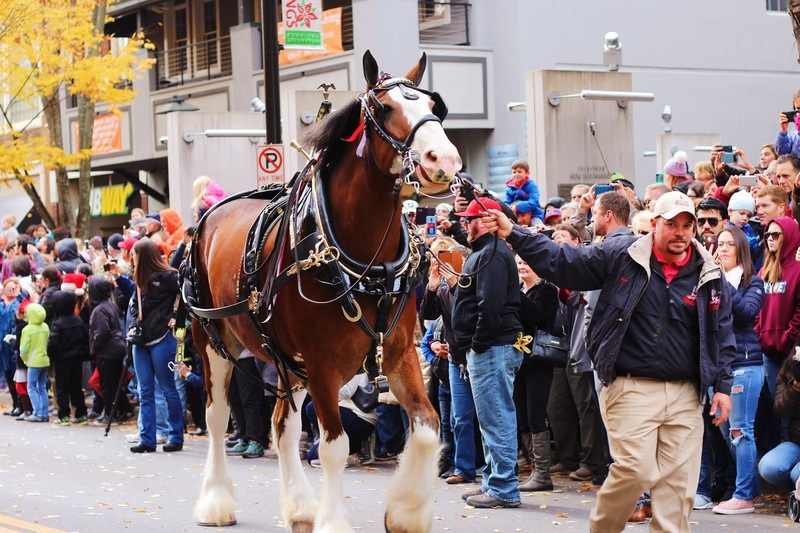 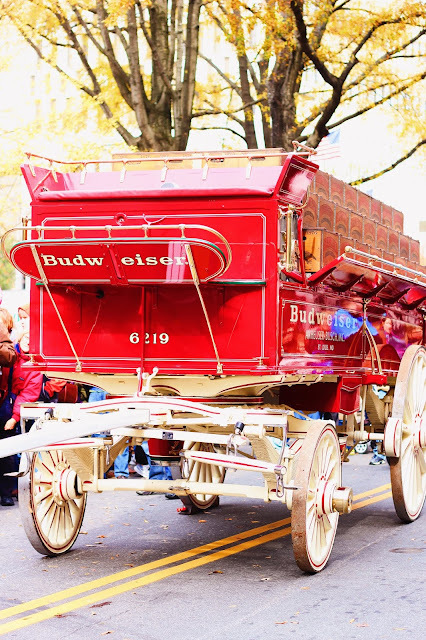 have the clydesdales ever come to your town?